Triad Communications Ltd. is a full service video and multimedia production company specializing in the production of training, safety, educational and promotional video programs with accompanying interactive CD-ROM's & DVD's for a variety of industrial and commercial customers. In the areas of training and safety we focus on a strong e-Learning approach to maximize learning and knowledge retention through the use of various multimedia tools, including interactive video programs with proven testing and tracking components. Please view the Production and e-Learning sections for more information. Please view the Other Services and Rates sections for more information. Read the review from Seaways Magazine here. Triad is proud to announce the DVD release and ongoing television broadcast of our most recent video production. "Master's Orders and Pilot's Advice" is a documentary that allows you to discover the coastline of British Columbia, Canada, from the unique perspective of the Coast Pilots who guide ships to safe harbour. Learn about the ancient and honourable profession of Marine Piloting which is so important to all Canadians. 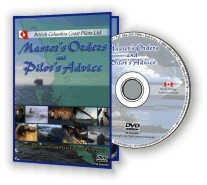 "Master's Orders and Pilot's Advice" is now available for Sale on DVD and VHS. The program premiered on The Knowledge Network in 2005 and will be airing in regular rotation for the foreseable future. To order the DVD or VHS, or for more information, please go to the Triad Online Store. Take control of your health with this introduction to naturopathic doctor, Jonn Matsen's renowned Eating Alive Program. It has been proven effective for thousands of people who have followed it and regained their health. Dr. Matsen uses diagnostic techniques and treatments to pinpoint the root cause of most health issues and recommend effective treatment. 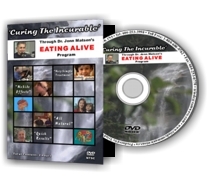 This DVD demonstrates Dr. Matsen's methods and makes it easier to understand how your body works and how you can use that knowledge to feel better and live longer. Hear actual stories of health renewed from his patients. To order the DVD or for more information, please go to the Triad Online Store.